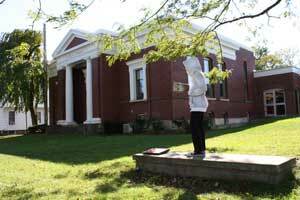 Volunteering at Penn Yan Public Library can be a gratifying experience. Whether for individuals who want to make a difference in their community, or for those who want a chance to gain volunteer hours for education requirements, our patrons can truly benefit from all that volunteers contribute. To find out more about volunteering opportunities check-out our Volunteer Handbook. Please visit Starcat to log in. Copyright © 2012 Penn Yan Public Library All Rights Reserved.